This is the 20th team to gather in the underwater Aquarius lab, a trip which began 10 days ago—but the goal is not to experience life under the ocean, it’s to test out what life might be like in deep space. It turns out there’s some surprising similarities between the two that make an underwater lab an excellent testing ground for deep space tech without the deep space trip. 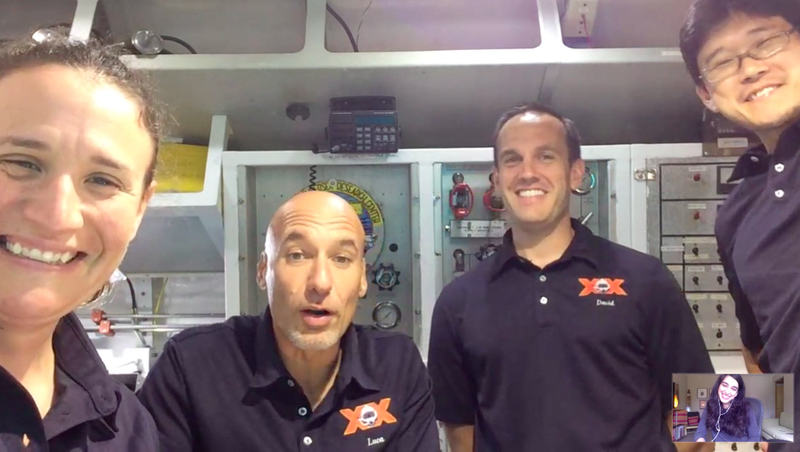 ESA’s Luca Parmitano, NASA’s Serena Aunon and David Coan, and JAXA’s Norishige Kanai chatted with me a bit about the kinds of tech they’re testing down there. There are quite a few experimental technologies being floated (sometimes literally) out on the NEEMO mission—including a submersible water vehicle that the team is using to test out ideas for a future planetary surface rover. But just how close is the bottom of the Atlantic to deep space? There are definitely some similarities—and some things that they’ve learned in their time living underwater that they can use on a future deep space mission. The closest cognate, the crew told me, may be Mars. Figuring out how to navigate the ocean floor, with its lack of easily visible landmarks, is great practice for when we eventually do try to roam around the barren Martian surface—and hopefully find our way back.